Star Trek Prop, Costume & Auction Authority: Public screenings announced of the new William Shatner documentary "The Captains"
Public screenings announced of the new William Shatner documentary "The Captains"
On Friday July 22nd at the 2011 San Diego Comic Con, William Shatner will be previewing his new documentary "The Captains", in which he travels the world to interview fellow actors Chris Pine, Patrick Stewart, Avery Brooks, Kate Mulgrew and Scott Bakula - all of whom portrayed lead roles as Starfleet Captains in a Star Trek television series/feature film. Additionally, Shatner will be hosting a free outdoor screening in Los Angeles on July 25th and in New York on July 30th. The LA event will take place at the Hollywood Forever Memorial Park - Fairbanks Lawn, 6000 Santa Monica Blvd (gates open at 7:00 pm), while the NY event will occur at the Intrepid Sea, Air & Space Museum - One Intrepid Square, 12th Ave and 46th Street (doors open at 7:30 pm). 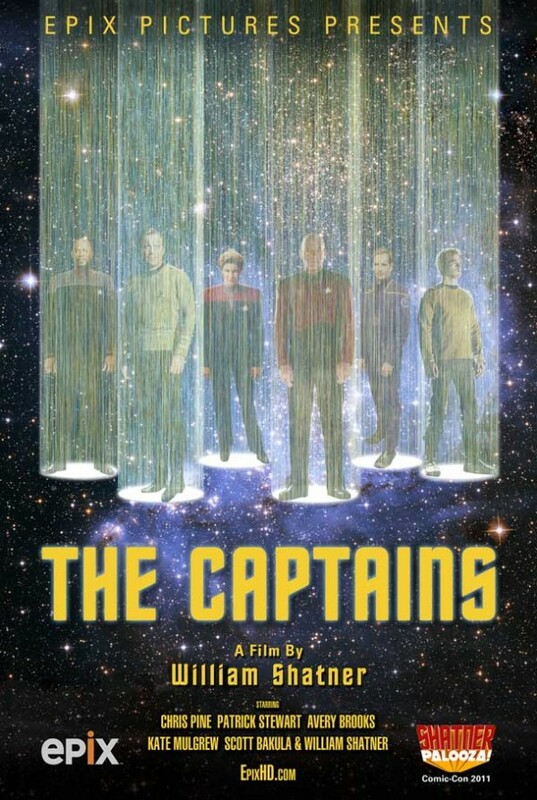 The documentary will be broadcast on the internet on July 22nd at 8:00 pm EST at the Epix HD website link of http://www.epixhd.com/the-captains/ Those interested in viewing it for free online may sign up for a free two trial at the site. He famously played Star Trek's Captain Kirk for more than 30 years. 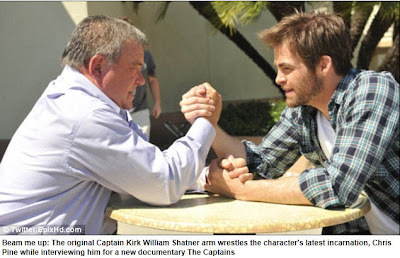 But now William Shatner is clearly passing the baton on to young pretender Chris Pine who played the young Enterprise captain in the 2009 J.J. Abrams film reboot of the franchise. The 80-year-old veteran actor is seen locking the 30-year-old actor into an arm wrestle on a new documentary. However, it appears Pine was a little star struck when he met Shatner face to face for the interview. 'He's shy,' the older actor told Canoe.ca. 'So the way I started the interview, I put out a table and chairs outside the Paramount gates, and arm-wrestled with him. Shatner famously did not appear in the 2009 film reboot, unlike his co-star Leonard Nimoy who reprised his role as an older Spock. 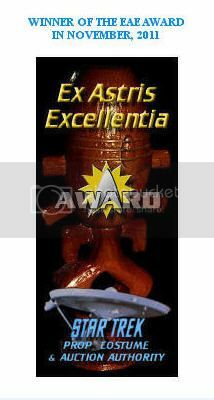 At the time, Shatner confessed at being upset about the snub saying; 'I can't believe it, I'm not in the movie at all. Leonard, God bless his heart, is in, but not me. The documentary, which Shatner directed, also sees him interview Patrick Stewart, Kate Mulgrew, Avery Brooks and Scott Bakula. 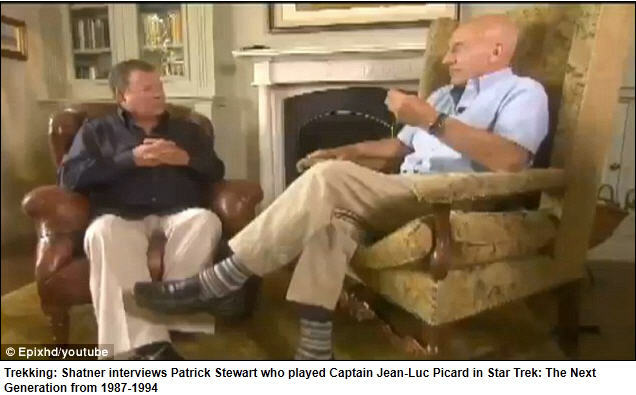 British actor Stewart famously played Captain Luc Picard on Star Trek: The Next Generation from 1987-1994, while Scott Baluka starred as Captain Jonathan Archer on Star Trek: Enterprise for four years until 2005. In addition, the actor spoke to Kate Mulgrew, who played Captain Kathryn Janeway in Star Trek: Voyager from 1995- 2001 and Avery Brooks, who starred as Captain Sisko from 1993-1999 in Star Trek: Deep Space Nine. 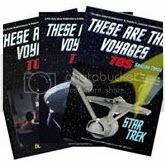 'It's a detailed look at the actors who played the captains on the various iterations of Star Trek,' says Shatner, whose latest TV project $h*! My Dad Says was recently cancelled. 'I have focused on themes like love and hate, divorce and work, intertwining their lives, and I think you will enjoy it.